Following this style mantra, David Beckham has always been the true fashion icon for men, with women swooning over him for not just being so good looking , but carrying himself poignantly in any outfit . Apart from his ability to chase the ball at the ground, he has been ultimately known for his appealing quiff hairstyle , the head turning grin and the chiseled jaws (pretty exciting for the girls)! Yes, his immaculate sense for fashion has made him quite irresistible , and he is elegantly ruling the fashion magazines , giving a tough competition to the celebs and the popular models. Men often find it quite tricky to wear shirts, but what if we tell you that the leading men shirts manufacturers have introduced a range of sensational shirts for the fashion buffs in spar with the recent fashion trends and highlights? 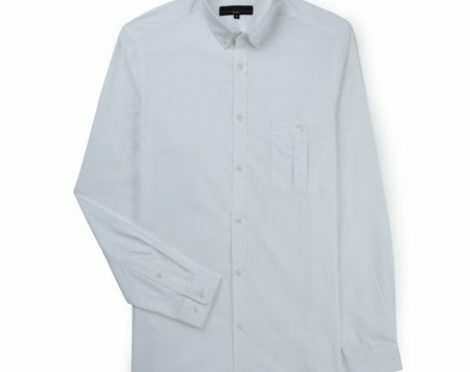 Trash your worries as the retail outlets are getting enhanced with new stocks of men’s shirts from the men shirts wholesale companies , to entice the customers who go for celeb style inspirations. Lets peep into three of the best looks of David Beckham , so that you can get some style cue from them! Beckham has always reminded men that looking good can come effortlessly from within, without struggling much to get an amazing appearance (after all men doesn’t really like dressing up!) . He is often spotted doing simple style trends which might look very old fashioned, but then can one stay away from vintage fashion statements for long? Men often think that classical prints would have something very cliche attached to it, but it seems Beckham loves to do classics. He was caught on cameras wearing a green and navy blue colored checked flannel button down shirt , with simple grey jeans and brown leather boots, highly graceful, men can try out this stylistic elegance anywhere confidently with leather jackets layered from above, or with a blazer! When a top-notch retail clothing company announced its expanding collaboration with David Beckham, he could not stop all the paparazzi which was quite natural for the ultra-classy look which he pulled off in a poised demeanor. Yes, he did the essential crisp white button down shirt ,adorned with sleek collar and symmetrical button line quite sophisticatedly. Teamed with a black trouser , he made fashion a magical game for all his men fans! Men often conceptualize that wearing a white shirt is full of hassles but then don’t you all think he just made this fashion game a lot stronger for you all? No one can deny the fact that the denim-o-denim is the most happening style craze today! Then how could Beckham lag behind? He was seen on the streets with wearing a vintage denim shirt over normal white tee, and a jean trousers with slouchy beanie and chunky bracelet. Craving for this hipster look? Do not mind trying it out! With the increasing demand of Beckham’s quintessential suave looks, even the private label shirts companies are keeping a strict look into his fashion statements!